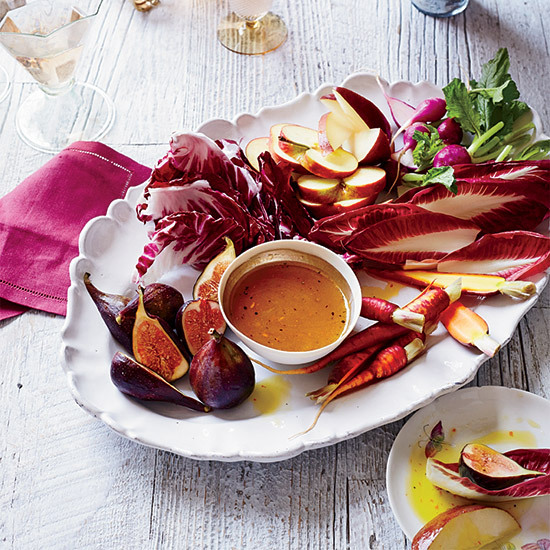 For an easy party idea, try some of these recipes to make the ultimate crudité platter. 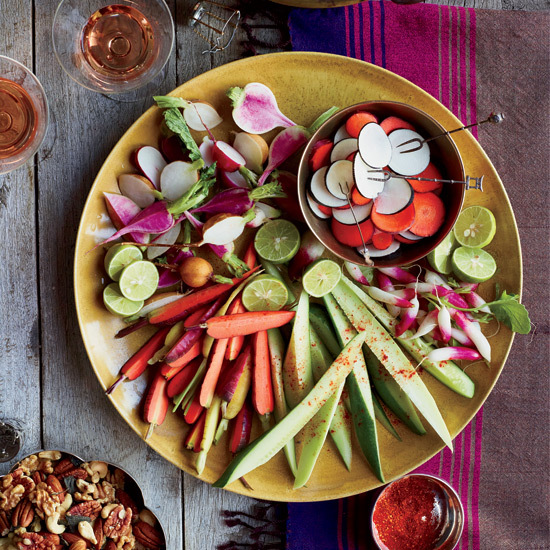 Chef David Tanis had the Mexican heritage of Hudson Vineyards’ Cristina Salas-Porras in mind when he created this raw vegetable platter, brightened with guajillo chile powder, lime juice and salt. He makes it year-round with whatever vegetables are in season, but he always includes crunchy cucumbers. 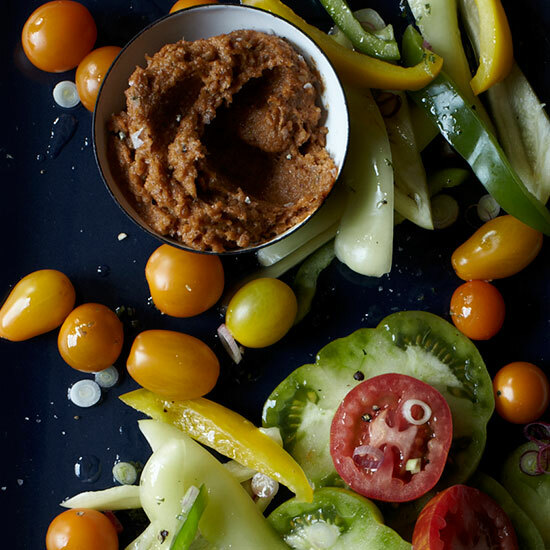 Chef Kristofer Kalas created this sweet and tangy dip to showcase organic fruits and vegetables. 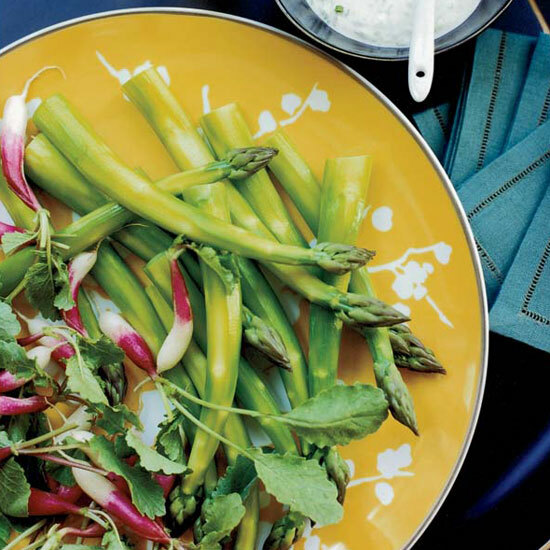 Pair it with a platter of sliced radicchio, radishes, baby carrots, cucumbers, pears and apple. 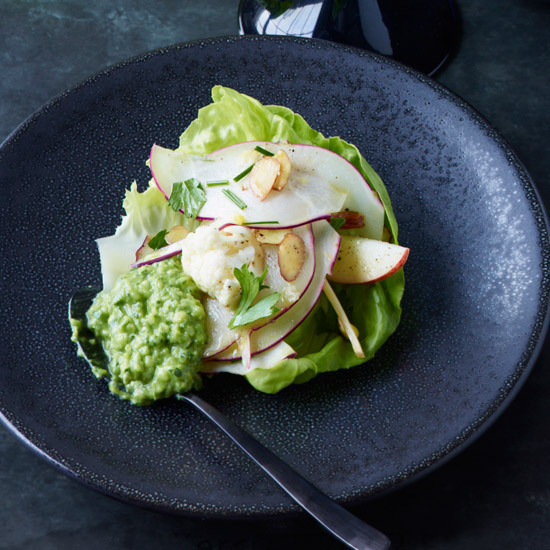 "Crudité is one trend from the '80s I wish would make a big comeback," says food blogger Pim Techamuanvivit. 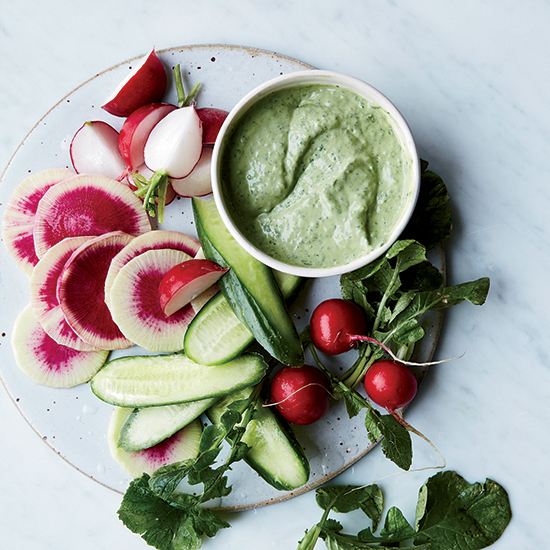 She invariably uses produce from David Kinch's Love Apple Farm in Santa Cruz County, California; in colder weather, that might be radishes, asparagus and baby carrots, served with a simple dip like this tarragon-spiked crème fraîche. Although Pim usually serves the vegetables whole, occasionally she'll slice them paper-thin on a mandoline and toss the strips together. For this spicy, hummus-inspired vegetarian spread, Nicolaus Balla uses the sunflower, an abundant crop in Hungary, in three forms: the seeds, the oil and the sweet, crunchy tuber of the sunchoke (a variety of sunflower). 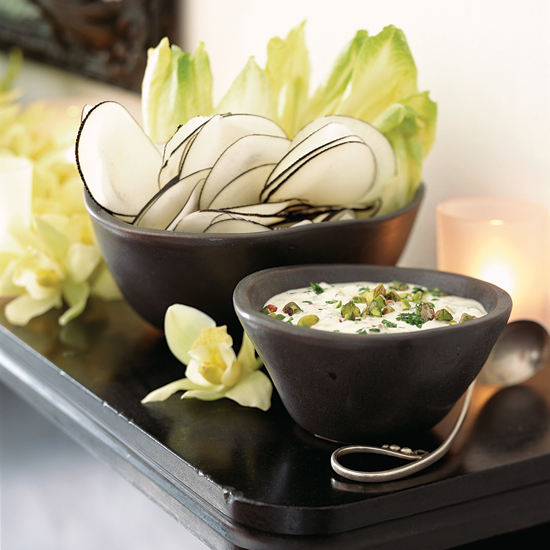 The result is an unusual, nutty and luscious spread that’s fantastic with fresh vegetables. 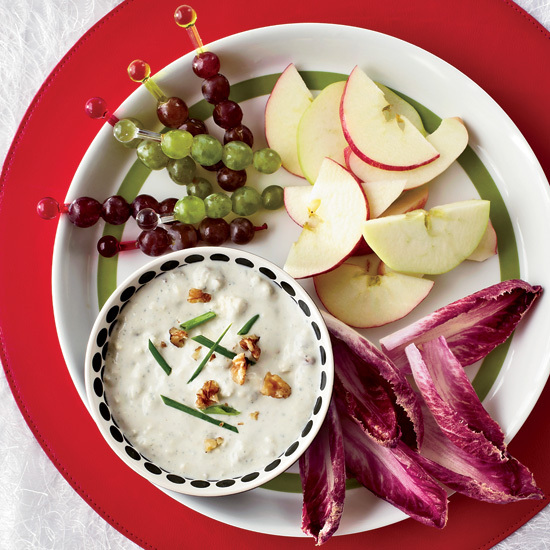 Salty, creamy (and even a little crunchy), this recipe is the ultimate party snack for when you are looking to go far beyond the average bowl of onion dip. 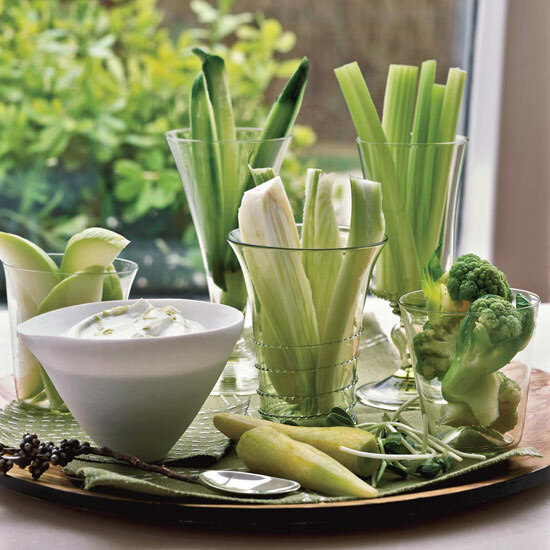 This elegant crudité dish is the perfect start for a hearty holiday meal; the lightly dressed raw vegetables are served in Bibb lettuce cups with fresh, herby Green Goddess dressing for dipping. 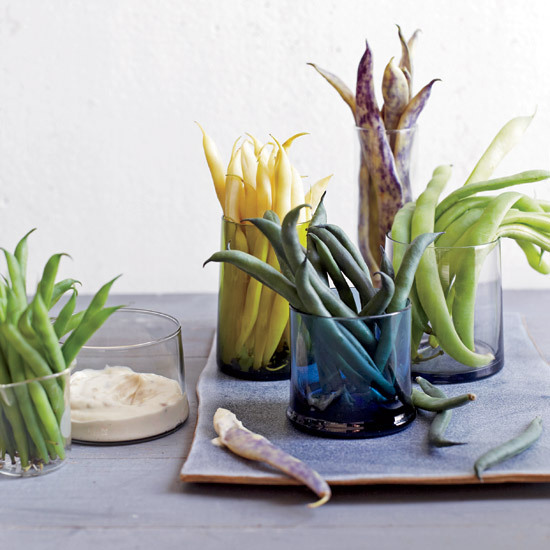 Be sure to use the freshest vegetables you can find for maximum flavor and crunch. 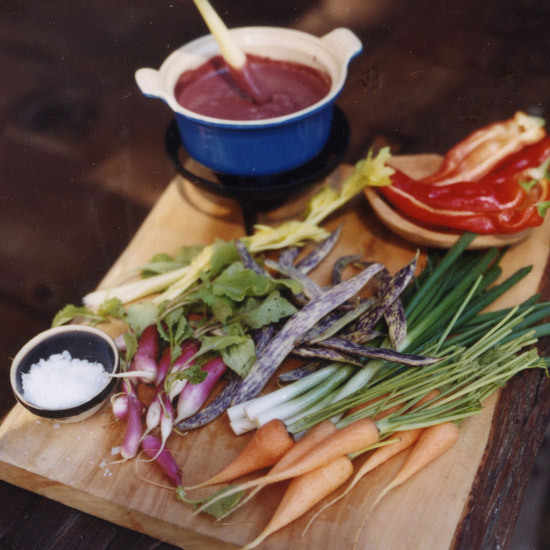 Anchoïade, a Provençal puree of anchovies, garlic and olive oil, is often slathered on grilled bread or served as a dip. 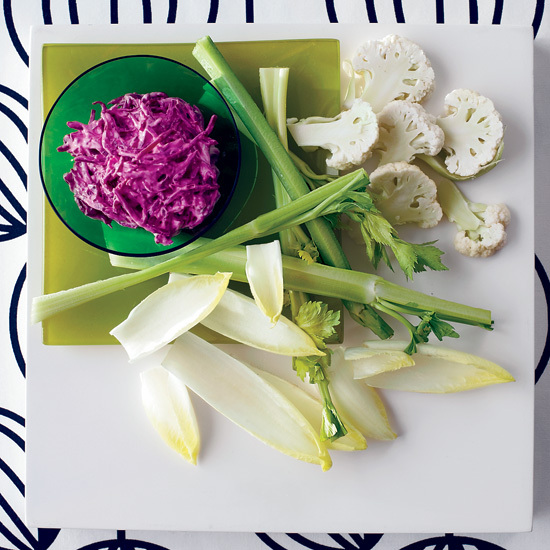 Use any combination of crudités—from thin shavings of spicy black radish to florets of broccoli romanesco, a relative of broccoli and cauliflower. 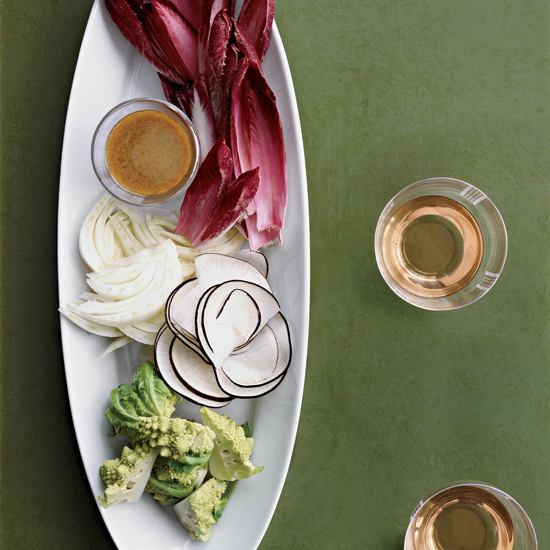 Serve a dry rosé, and see our 7 Rules for Perfect Pairing.